Piedāvājam iegādāties Lenovo 27" monitoru ar WQHD 2560x1440 izšķirtspēju. Description - The ThinkVision P27h monitor has a glossy appearance with a full-function ergonomic stand. It offers a crystal clear borderless IPS display of 2560 x 1440 resolution and sRGB 99% color gamut, providing vivid, accurate images from a wide viewing angle. Moreover, each monitor has been pre-calibrated to obtain an accurate and consistent color with a factory calibration report. With built-in power and the rich connectivity of USB-C, HDMI, DP, and DP out, P27h satisfies diverse connection demand and can make multi-screen easier with daisy chain. USB-C can offer one-cable connection usage experience to customers. 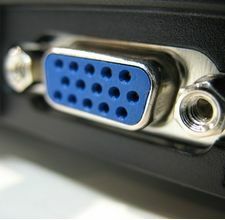 P27h also has 4 USB 3.0 ports, including 1 with BC1.2, which offers quick charge to your USB devices. Its full-function stand supports lift, tilt, pivot and swivel, which are all for your ease of use. Product Description - Lenovo ThinkVision P27h-10 - LED monitor - 27"